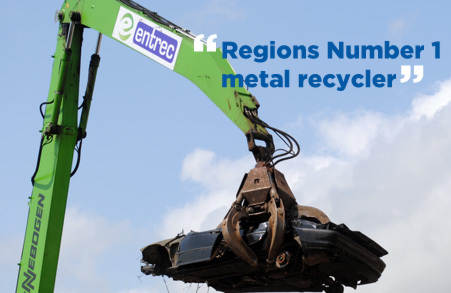 Entrec is a well established metal recycler based in North Wales, and we make it our mission to provide continuous recycling solutions at competitive prices. With an experienced and specialist team of professionals working on site, Entrec offer a wide range of recycling services, from the secure processing and demolition of ferrous and non – ferrous metals, to skip services and the recycling of waste cables. Here at Entrec we possess all the top accreditations needed to safely and sufficiently provide a quality recycling service. Our recycling plant based on Wrexham Industrial Estate currently processes large volumes of ferrous and non-ferrous metals, with a large part of this going to UK foundries as well as exporting material worldwide. 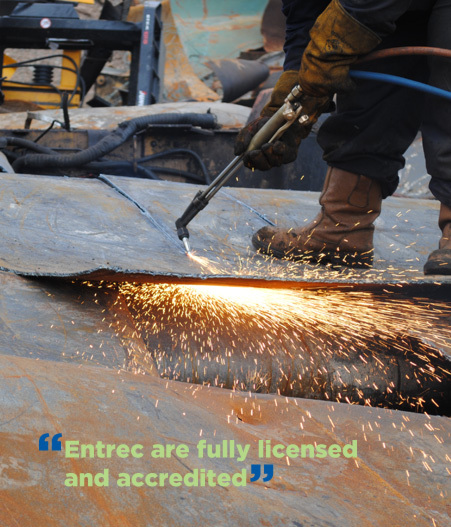 Here at Entrec we have access to top of the range, specialist equipment, enabling us to reliably and efficiently dispose of almost all scrap metal. With our team of fully trained professionals and effective data management structure, we offer quick solutions to all recycling needs. The equipment we have is able to process scrap proficiently, producing the highest quality products, whilst minimising carbon emissions. Entrec is also the main registered Authorised Treatment Facility in the North Wales area for the recycling of end of life vehicles; ensuring vehicles are recycled in an environmentally friendly manner. We are fully licensed by the Environment Agency Wales under Waste Management Licence EAWML 37267 and have a waste carrier licence CB/QM3288LX. We accept all waste, which is covered by relevant paperwork in order to ensure compliance under current legislation and duty care regulations. Whether you are buying from us or selling to us, Entrec are highly committed to the environment and our customers. We provide an efficient and reliable service, continuously striving to achieve your environmental goals.